Building yachts means taking into account individuality, quality, water resistance and humidity as well as versatility and efficiency. And to ensure that the finish on all its interior furnishings and fittings satisfies all these requirements, HanseYachts has hoisted sail towards a new horizon in edge-banding for its interior furnishings. 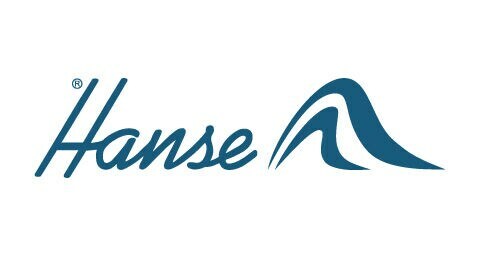 Right from the start the policy of the HanseYachts AG yacht manufacturer, founded in 1990 and based in Greifswald (in the state of Mecklenburg-Vorpommern in Western Pomerania) has always been to offer privately-owned, easy-to-sail yachts with sophisticated technology and designs and an excellent quality-price ratio. Naturally, the future owners of the yacht are also invited to add their own personal tastes and ideas. And to ensure that the end product is a success, the manufacturer has become a practical platform for a series of highly complex infrastructures as well as monitoring in minute detail, every step in the construction process, from the yacht’s design to its production. All this requires flexible, highly efficient production processes with systems that guarantee continuous and coordinated machining cycles. Recently, the production managers, guided by the company director, Klaus Häcker, hoisted sail towards a new horizon in edge-banding thanks to a Stefani machine, the Italy-based SCM group’s edge-banding specialist. HanseYachts were able to equip the standard stefani s machine frame to suit its own special requirements. So, the machining programmes can now be selected according to the workpiece and the edge bands are fed in from a twelve-shelf automatic magazine. 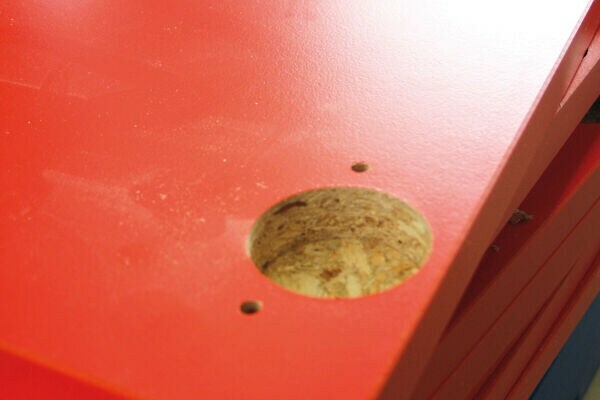 A nesting package ordered at the same time allows edge-banding to be performed on pieces that have already been CNC processed, for example, with holes for embossed hinges, and the machine also has all the finishing units the company requires. The radial scraper is inserted analogically 64 HANSEYACHTS - GERMANY Built exactly to the wishes of HanseYachts: the SCM stefani machine near the flush scraping unit profile. 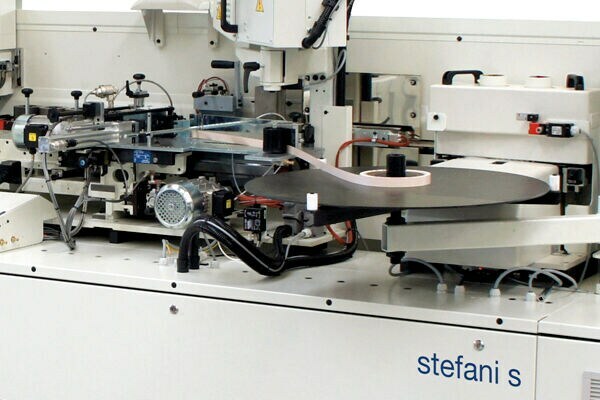 If rounded edge bands are applied with a single four-motor unit ("Round 4" automation package) the profiles, or better, the radiuses are machined with a single diamond-tipped tool. Depending on the profile in question, the tool is positioned pneumatically for high, low, front and rear milling. This level of versatility is made possible by the "Multiedge" automation package. This is a set of versatile tools that are ideal for any number of ultra-slim bands and different radiuses. 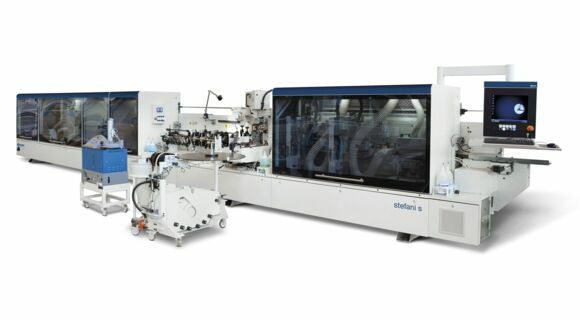 Another special feature is the SGP Glue Pot gluing station, which allows EVA and PU adhesives to be used without having to interrupt the gluing process, as the SGP changes the adhesive automatically. The SGP also performs automatic emptying and dosing operations automatically (with a patented glue gun closure device). Glue dosage is analogically controlled by the program according to the specifications of the adhesive. Depending on the type of edging selected, the "Maestro Pro-Edge" machine software selects and automatically activates the required work stations. If the customer has ordered surfaces in plastic or other non-wood materials, the machine starts up the spray device with a detaching unit and/or lubricant or detergent. 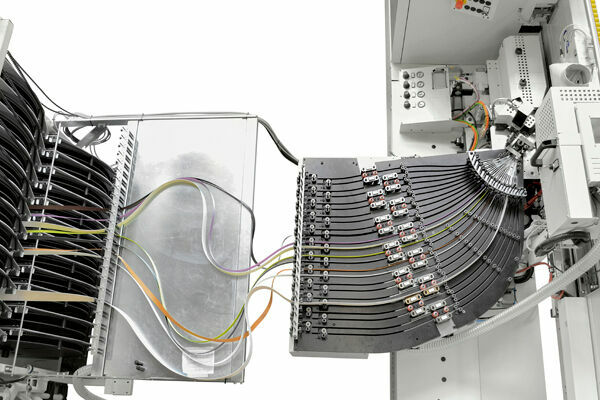 Once the piece has been processed, a return system takes it back to the machine operator. In this situation, the machine screen also shows which side of the piece is about to be edged and how to position the edge band. Klaus Häcker had this to say about the machine: "personally, I find it very important advantages that the machine creates a production report every day indicating the work hours for each operator as well as the possible stop times and relative causes. The report also indicates the maintenance intervals for each unit and any servicing operations that are due. Consequently, I have practically everything under control, all the time, or more specifically, the edge banding and the completely automated use of our five profiles." Once again, HanseYachts’ close working relationship with its suppliers, in this case the manufacturer of the SCM machines, has shown to be once again an important symbol of the value of the yachts it produces.